Note: I have added this to the #edcmooc tag cloud not necessarily as a contender for the contest (though I would love a gelaskin for my phone) but rather as a reaction to seeing someone else upload this image to Flickr as their own. It was a good opportunity to talk about creative commons, share-alike and attribution, further proof that the network teaches all in many ways. 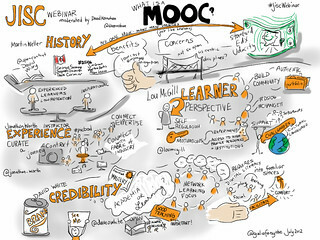 www.jisc.ac.uk/ webinar on MOOCs. 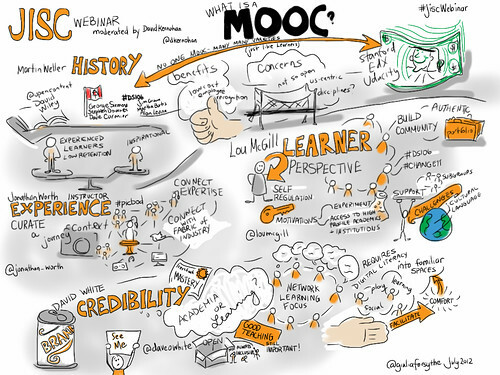 While I have listened to MOOC talks up to my eyeballs, these folks had some new things to say and it was really interesting to hear the analogies and discussion unfold from so many perspectives.